It started out as one book, expanded to tell the "ever after", and then began to bring in the next generation. The Land of Kaldalangra has taken many twists and turns since it began with the publishing of The Lady of Steinbrekka back in 2012, and that now includes a full make-over! 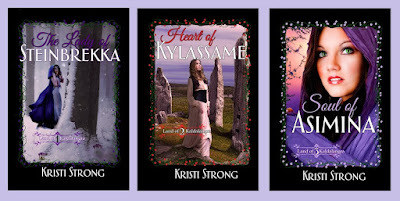 When Kristi Strong started writing The Lady of Steinbrekka, she never realized that it would become a series, and the same happened with Heart of Kylassame, and Soul of Asimina. About the time Kristi started working on the fourth book (hopefully to be out in 2016 or 2017) she realized that this wasn't going to end any time soon, and it was time for it to look like a series. 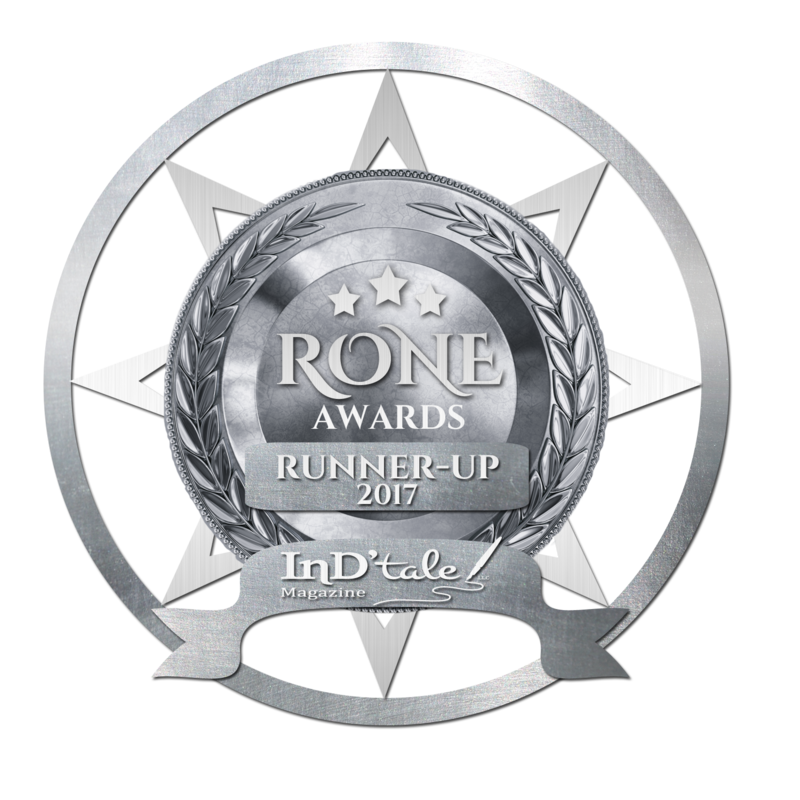 Kristi had such a great time working with Donna Dull of Sharp Designs (the same cover artist who did Finding Keepers) and Donna really did a great job of making the covers feel like a series, but still keeping pieces of the originals that Kristi loved so much. 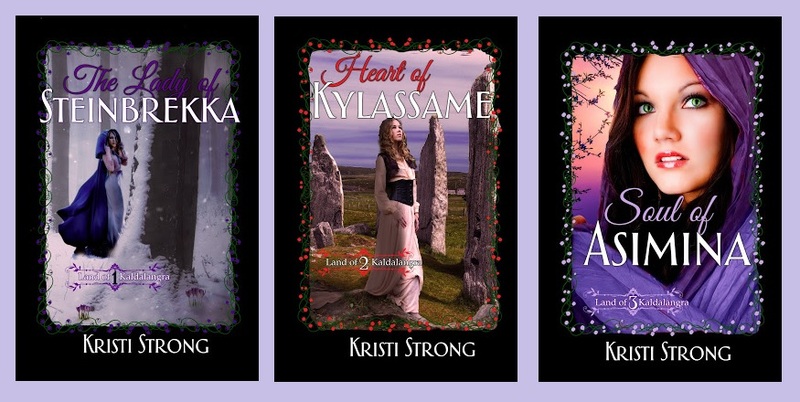 It will also be much easier now when Kristi Strong releases the next couple of books (not for a little while though) to make them continue with the beautiful covers. Presenting, the new look for The Land of Kaldalangra series!